The Bridi Utter Chaos 40 is a sport, acrobatic model. 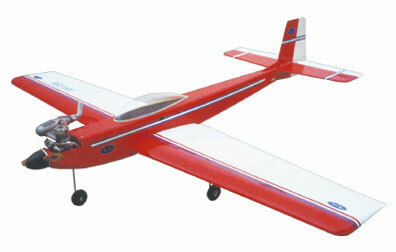 It has outstanding design features with a symmetrical, tapered airfoil and streamline fuselage. Balsa construction with machine cut and sanded parts, the Utter Chaos 40 flies as great as it looks. Canopy, engine mount, tricycle landing gear and hardware package included.